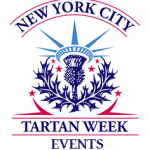 The excitement is mounting for the 20th Anniversary of Tartan Day and the New York Tartan Day Parade on Saturday April 7th, 2018. 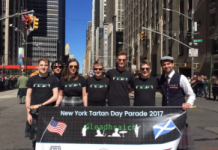 “The New York Tartan Day Parade organizers look forward to welcoming one and all”, noted Kyle Dawson, President of the National Tartan Day New York Committee. 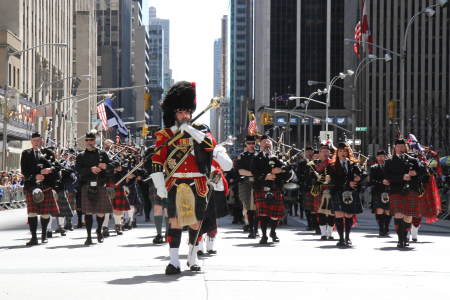 Clans, Pipe Bands, Dancers, lovers of Scotland from all over the globe, (including Canada, Scotland, and points throughout Britain), will join Scottish Americans in coming together for the Parade here in New York. Joining us once again from the Shetland Islands will be Lerwick Up Helly Aa Jarl Squad, wearing handmade & specially designed suits – including metal etching, leather, animal hides, helmets and weapons. From Britain we will be joined by the Accrington Pipe Band, the oldest civilian Pipeband in the UK., and joining us for the first time will be Sgoil Lionacleit Pipe Band hailing from Benderloch, Frobost, South Uist. From Ottawa, Canada we are being joined by members of the Sons of Scotland Pipe Band, and also from Ottawa, the Celtic Cross Dancers. From Ontario, we welcome members of the Forest Legion Pipe Band. 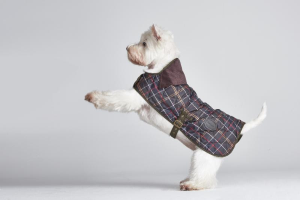 Scotties and Westies are this year being joined by the Celtic Canines, three divisions of Scottish dogs from Deer Hounds, Sheepdogs, Cairns. The days surrounding the Parade are filled with events, from from Ceilidhs, to talks, to discussions on Genealogy, to Pipes & Drums in the Park, to beer tasting, and to whisky tastings. For full listing of events and tickets info. visit nyctartanweek.org. 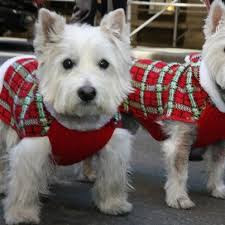 Following the Parade there is the Official Tartan Day Post Parade Party sponsored by Belhaven & Glenlivet at BB Kings. Clann An Drumma Gleadhraich, and Scocha will make sure a great time is had by all – Tickets now on sale HERE. If you have not already done so and would like to register to march in the Parade – now is the time to do so. 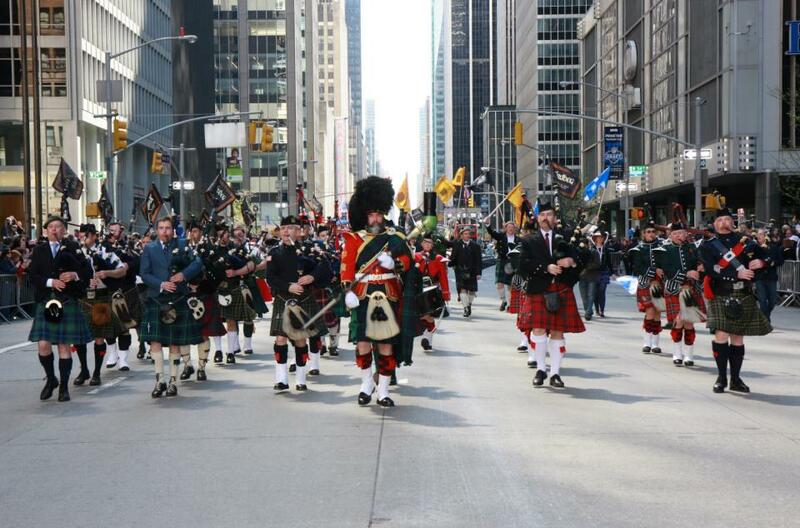 With record numbers registering to join the 20th Annual NY Tartan Day Parade, registration will be closing on March 20th. There is no fee to register, please go to nyctartanweek.org to complete your registration. You need to be 7 or more in order to march as a Group. If you don’t wish to march, cheer us on along Sixth Avenue. 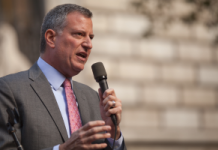 The Parade steps off at 2pm and goes up Sixth Avenue from 44th to 55th Street. If there are any hiccups, please email: president@nyctartanweek.org and someone will get back to you. 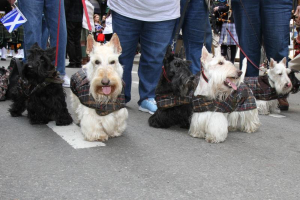 The streets will be awash in tartan and the sound of the bagpipes from 44th to 55th Street on Sixth Avenue. The parade steps off at 2pm. 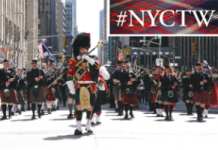 The National Tartan Day New York Committee thanks all the Pipe Bands and individual pipers who have joined us each year from our first days along a side walk, to our proud place on Sixth Avenue. If you have photos to share with us please do forward them to us as we are trying to build an archive of photos and footage, especially from the early years. In 1998, the U.S. Senate declared April 6 to be National Tartan Day to recognize the contributions made by Scottish-Americans to the United States. In 1999, two pipe bands and a small but enthusiastic group of Scottish Americans marched from the British Consulate to the UN-our first Parade! Since then, we have grown to include hundreds of pipers, thousands of marchers and many more thousands cheering from the sidelines. 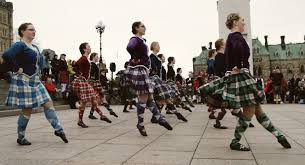 In 2003 The National Tartan Day New York Committee was formed as a 501(c)(3) to organize the Parade and co-ordinate all the associated activities which surround the Parade.